17 July 2017. By Toh Han Shih. China is to set up a cabinet-level financial stability committee and give more power to its central bank to tighten up supervision of its financial system. The plan for the finance sector super-regulator, which will operate under the auspices of the State Council, is to rein in arbitrage among the country's financial regulatory agencies, and echoes recommendations made by the International Monetary Fund six years ago. President Xi Jinping announced the move at the National Financial Work Conference in Beijing last Friday and Saturday. At the conference, which convenes ever five years, Xi repeatedly highlighted the financial risks facing the country. He said the People's Bank of China would play a bigger role in macro-prudential management and curbing systemic risks, and state news agency Xinhua said the financial supervisory functions of the committee and the bank would be complementary. The conference was supposed to have been held in January but was delayed due to disagreements over how to approach regulation, according to a report published on July 13 by TS Lombard, an international economics and geopolitics research firm. Alternative policies were mooted, including merging some of China's existing financial regulators, but TS Lombard correctly predicted that the most likely outcome would be a central bank-led committee. The company said it had expected that a new financial coordination body under the State Council would lay out new regulations for overall financial activity, especially with regard to Internet financing. The recommendations made by the IMF in 2011 included setting up a committee on financial stability with the central bank as its secretariat by 2016 at the latest. "Implementation of a formalized financial stability framework is essential," an IMF paper said in 2011. "Establishing a permanent committee on financial stability would be a useful step. Chaired by a senior official with authority, the committee should have access to all relevant supervisory and other financial information. "The rapid expansion in the size, interconnectedness, and complexity of the financial system calls for a commensurate increase and coordination in oversight. The broad direction should be to enhanced supervisory coordination and information sharing. Recent steps to close regulatory arbitrage incentives for banks to hold shadow products are welcome, though implementation challenges remain," the IMF report said. Companies currently exploit opportunities for arbitrage made available by differences between China's four finance sector regulators — the People's Bank of China, the China Securities Regulatory Commission, the China Banking Regulatory Commission and the China Insurance Regulatory Commission. If one regulator imposes strict rules, firms take advantage of more relaxed rules brought to bear by another regulator. China is seeing growth in the number of financial products that span different sectors. For instance, some life insurance products can be treated as banking wealth management products and abused to launder money. 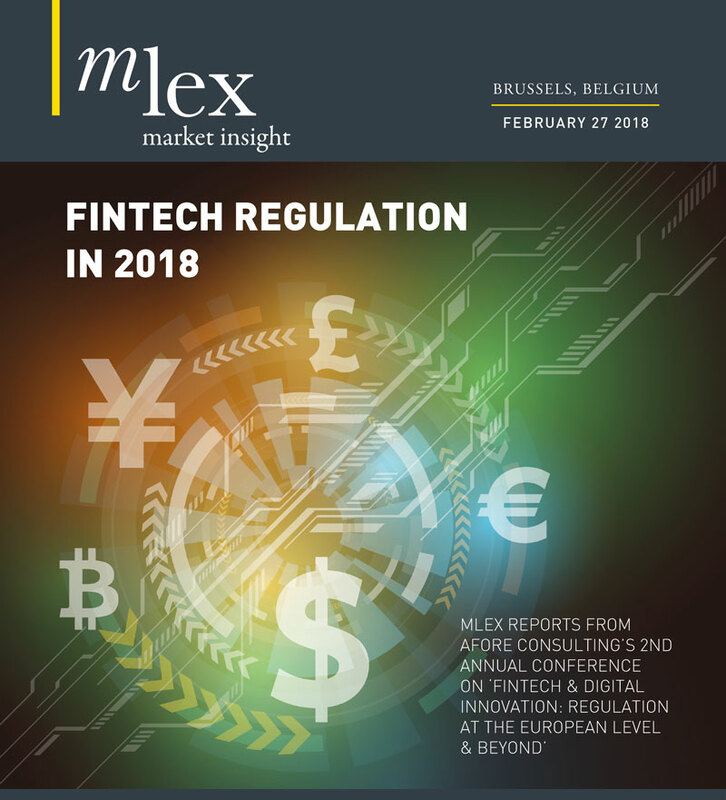 As an example of cross-sector enforcement, the CIRC announced in May that it was investigating banks as well as life insurance products, as MLex reported. Xinhua quoted Zhou Xiaoquan, president of Central China Securities, as saying the new committee would coordinate the various finance sector regulators in a unified manner that would more effectively maintain financial stability. 'While I think the probability of a financial crisis is low, it is nonetheless rising as debt levels rise," said Michael Pettis, a finance professor at Peking University's Guanghua School of Management. "For that reason, it makes sense for Beijing to place emphasis on maintaining financial stability." There was less talk of financial innovation than of deleveraging by state-owned enterprises and local governments at the National Financial Work Conference, according to a hedge fund manager. A commentary today on the conference by the China Securities Journal, a state mouthpiece, said the Chinese economy was too reliant on bank loans, which had sharpened shadow-banking and credit risks. China's mounting debt is prompting a growing chorus of economists to express fears of a financial crisis breaking out in China. In late June, ratings agency Standard & Poor's said there was "a real chance" it would downgrade China's credit rating. On May 24, Moody's downgraded China's long-term currency and foreign currency issuer rating by one notch, as MLex reported. "The leadership in Beijing will do anything to preserve the semblance of financial stability," said a report by Enodo Economics, a London-based consultancy focusing on China's economy. "They can maintain the facade of stability for some time yet." But unless Chinese Premier Li Keqiang's policies produce productivity growth, Beijing cannot defy the laws of economics forever, said the report, which was written by Enodo's founding chief economist, Diana Choyleva. Additional reporting by Tsering Namgyal.